A Dundee community project, created by and for young parents, has been shortlisted for a £50,000 National Lottery grant which could transform the lives and skillset of 30 teenage parent families throughout the city. 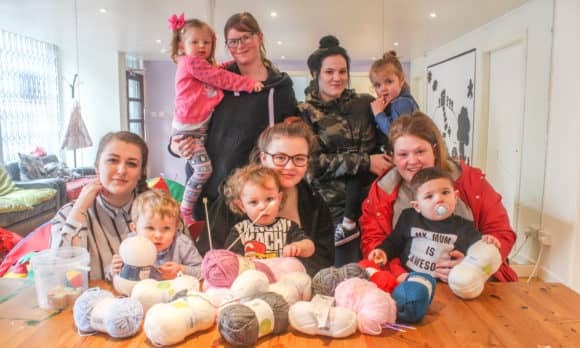 Led by Front Lounge, the new ‘Bringing Up Baby (BUBS)’ ‘Kindred Clothing’ project will build the skills, confidence and networks of vulnerable, young families by supporting parents under the age of 20 to design and make clothes, learn new skills and make friends while their children play. Ultimately, it is hoped that those attending will leave with an official accreditation from Dundee and Angus College. The project has now reached the final regional stages of The People’s Projects, a National Lottery competition, allowing members of the public to vote for worthy projects within their local communities. The three finalists receiving the highest number of votes will go on to secure up to £50,000 funding. The voting period runs from Monday 16 until Monday 30 April 2018, with the winners announced on Thursday 3 May, during the 6pm STV News programme. Kindred Clothing will feature weekly drop-in sessions at Front Lounge’s Hilltown premises, as well as showcase events and visits to creative venues including Dundee Contemporary Arts’ print studio. The weekly sessions will be led by young parent volunteers, supported by a Community Learning and Development (CLD) Worker, with a Making Practitioner facilitating the creative sessions. 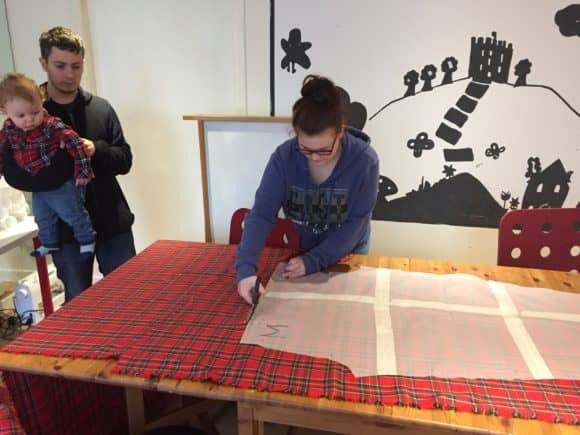 If funded, the programme will include tailoring, knitting and quilting, with the added opportunity for parents to design their own fabric through screen-printing. The grant would help pay for materials and machinery, toys and a Play Worker, allowing parents to concentrate on their crafting knowing that their children are being looked after just a few feet away. Longer term, it is hoped that the skills gained will ultimately lead to external accreditation, a significant factor given that some participants may have left school early, with few qualifications. At the end of the funding period, the participating parents will also have gained skills which could lead to new employment opportunities. Founded in 2012, BUBS, Front Lounge’s young parents group, was started by a young mother who was tired of feeling isolated, lonely and judged. The group is currently funded by National Lottery Funding ‘Awards for All’ funding and Women’s Fund for Scotland and supported by NHS Tayside. These sentiments were echoed by 18 year old Hannah Watson, who started attending BUBS late last year. 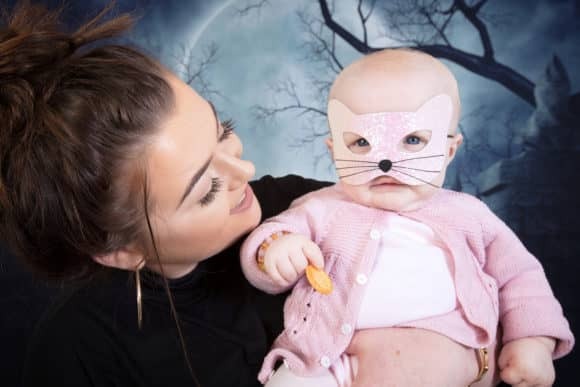 With one year old daughter Grace, Hannah was ‘keen to meet other mums and dads while also doing something productive’.